'MLM' The American Dream Made Nightmare: Shackled to a financially-suicidal Ambot. In 1945, whilst most, contemporary mainstream commentators were unable to look beyond the ends of their noses, with a perfect sense of irony, Eric Arthur Blair a.k.a. 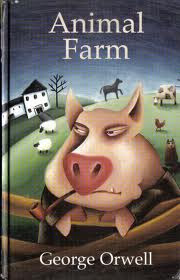 'George Orwell' (1903-1950) presented fact as fiction in an insightful 'fairy story' entitled, 'Animal Farm.' 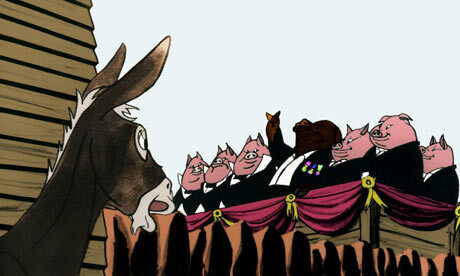 He revealed that totalitarianism is merely the oppressors' fiction mistaken for fact by the oppressed. The answer to the above frequently-asked question, is 'no,' but this article explains why I began to research, and to write about, blame-the-victim cultic racketeering in general, and so-called 'Multi-Level Marketing,' in particular. In pernicious cults, a core-group of adherents can be gradually dissociated from external reality and reformed into deployable agents, and/or de facto slaves, and/or expendable combatants, etc., furthering the hidden criminal objectives of their leaders, completely dependent on a collective paranoid delusion of absolute moral and intellectual supremacy fundamental to the maintenance of their individual self-esteem/identity and related psychological function. It becomes impossible for such fanatics to see humour in their situation or to feel pity for, or to empathise with, non-adherents. Their minds are programmed to interpret the manipulation, and/or cheating, and/or dispossession, and/or destruction, of inferior outsiders (particularly, those who challenge their group’s Utopian controlling scenario) as perfectly justifiable. About 10 years ago (by chance), I ran into the Mayor of Beaumont Le Roger (the fashionable small Normandy town where I used to live). At this time, France was experiencing a dramatic rise in the value of residential property, and the Mayor (who was also a local business owner) informed me that my former home had just been divided and sold for more than Euros 600 thousands. He asked me why I'd previously abandoned the restoration of this historic property, and then dumped it (at just the wrong moment) for a fraction of this price? I replied that, although (on paper) I had temporarily appeared to be the owner, in reality, the disastrous transaction had been handled by my brother - a deluded cult adherent. However, as soon as the word, 'cult,' was mentioned, the Mayor looked at me blankly and had another pressing engagement to attend. For those who are interested, the following is a near-contemporary account of what actually happened to me as a result of members of my family falling for the version of the blame-the- victim cultic racket entitled 'MLM income opportunity,' combined with my initial refusal to confront the true scale of the danger this represented. One spring evening in the early 1990s, I was relaxing in the garden of my home in Normandy after returning from a trip to England. I was having a chat with two visiting friends. I began to tell them about the sudden, radical personality-transformation of my only brother and of the uncanny influence he, and his ‘new business associates,’ now seemed to hold over my widowed mother. My brother, who is 15 months older than me, was born in 1957. For a long while, my brother had not been at ease with himself. After graduating from university (as a Bachelor of Arts) in 1978, he had failed to find his vocation in life. At that time, he was one of a typical bunch of students who’d all roomed together. 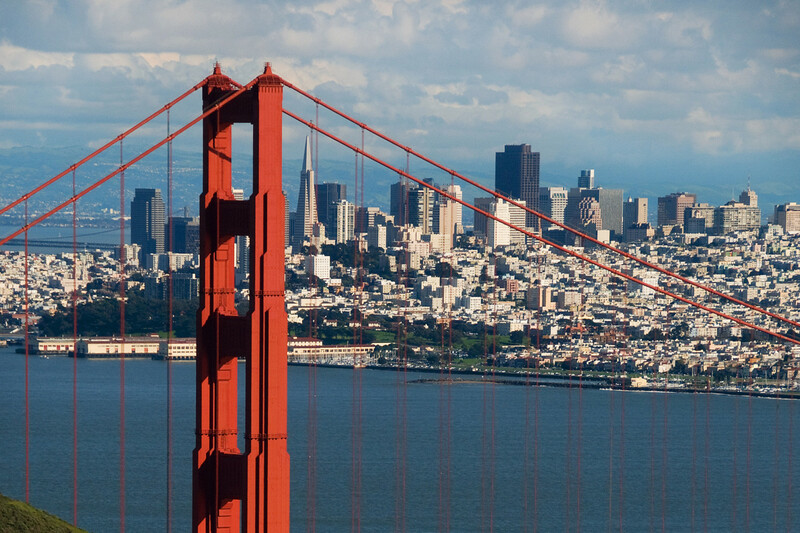 Before going their separate ways, they’d taken a summer trip to the USA and driven a Chevrolet Camaro from the East coast to San Francisco. My brother had then returned home to the North of England, where (reluctantly) he was persuaded to attend teacher training college. His California suntan soon faded along with his taste of freedom. 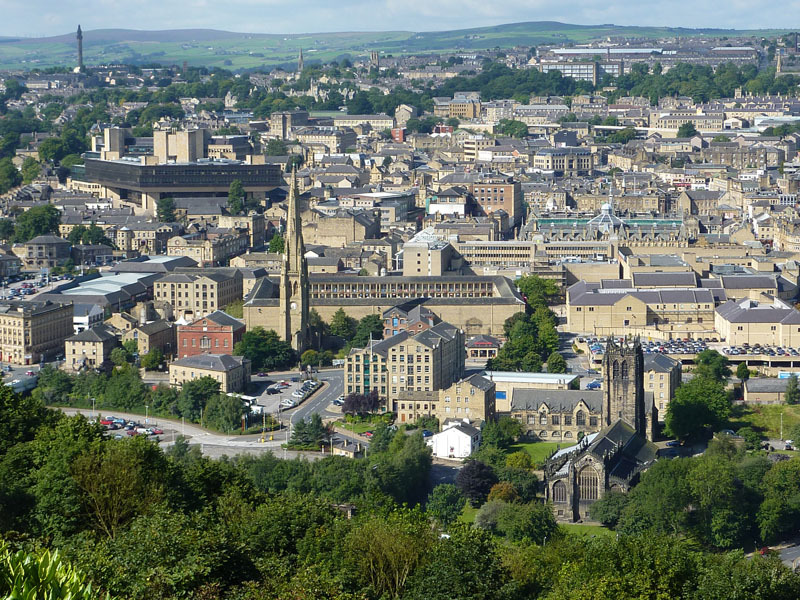 For the next 10 years, he lived, and worked (teaching English), within a few miles of the same industrial town, Halifax, where he had been born and where he had gone to school himself. Apart from the occasional short holiday, that was pretty much the limit of his world. My brother was not what you would call a 'modern man.' He was a self-centred and cynical person with a cruel sense of humour who liked to provoke by expressing outrageous right-wing opinions, but he held no religious beliefs and had no political affiliations. Towards the end of this frustrating period, something happened which shook my brother to the core. 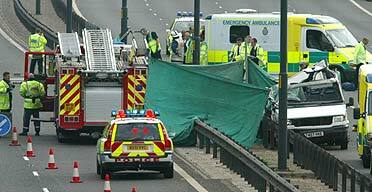 In 1987, a group of middle-aged men (all stalwarts of my brother’s former rugby club) were killed, or maimed, in an horrific crash involving a truck ploughing into the back of a mini-bus in which they were travelling. He had always lived in denial, but, according to his girlfriend (another reluctant schoolteacher), once he’d past the age of 30, my brother had finally begun to take stock of his life. He realized that he was a powerless loser surrounded by powerless losers. He needed to escape before he was too old or he would be condemned to three more, miserable decades in the classroom. The only problem was that, apart from some vague dream that one day he would run a country pub, my brother could see no definite way of replacing his salary cheque. Privately, he was in total despair. The tragicomic 'MLM' satire, 'Believe ,The Movie,' is frighteningly close to reality. It was one Christmas, when I first saw that my brother was not the same man. The new version was an unlikely mixture of glad-handing politician, zealous missionary and foot-in-the-door salesman. He grinned artificially, stared deeply into everyone’s eyes and asked: ‘What do you dream of achieving in life?’ He then confidently tried to convince anyone who would listen that he was the bearer of good news… he had discovered a sure-fire way to make all your ‘dreams’ come true. In plain English, my brother had a bought a commission-agency from a UK-registered company importing soap powder and other, banal household products from a parent corporation the USA. According to my brother: you could settle for buying products from the company at a ‘wholesale price’ and then ‘retailing’ them to your social contacts at ‘30% profit.’ This ‘short-term strategy’ was fine for some, but, in the end, it was a ‘waste of time.’ If you were really serious about making big money, then there was ‘no need to sell anything.’ You could ‘follow a proven, business-building plan’ and consume a regular quantity of ‘money-saving products’ yourself whilst offering your friends and relations a ‘helping hand’ by bringing them onboard. In turn, your recruits could ‘duplicate exactly the same plan’ and consume a regular quantity of ‘money-saving products’ themselves whilst ‘helping’ their own social contacts to do the same, etc… the company undertook to pay its ‘Distributors’ a escalating percentage commission on the totality of their monthly ‘Business Volume’ (including their own purchases) and on that of their recruits, and on that of the recruits of their recruits, etc. ad infinitum… if the ‘plan’ was ‘duplicated’ correctly, payments automatically multiplied in an infinitely-expanding geometric progression. The more people you ‘helped:’ the more money you earned! ‘This is not a get rich quich scheme - it involves hard work ...Your a cynic, no statue has ever been built to commemorate a cynic !… Only fools pass judgement on something without looking at it first !… I’ve met people who have literally made millions by building this business…! I prefer to listen to winners not losers !… Who are you to belittle some of the world’s most successful businessmen ?… If you’re so clever, why aren’t you rich ?… People like you laughed at the Wright brothers.’ etc. When it dawned on him that he had no chance of converting me, the authentic version of my brother made a fleeting re-appearance. Familiar signs of childish anger flashed across his face, but then he looked to his partner for support. The couple now went into another irritating parental-style routine. They fixed their happy, smiley faces and calmly refused to talk about what they were doing as though it was my loss not their's. For my brother, it was unthinkable that I could have a more-informed opinion than him. In her youth, my mother had worked in hotels and then as a secretary. Throughout the 1960s (at my father’s instigation), she had run a small business buying and selling old books, maps, paintings, prints and collectors’ items. However, my mother only had a limited knowledge, and (like my father) she was always more of a collector than a dealer. After my father’s death, my mother gradually sacrificed her business to care for, and to manage the affairs of, a succession of ailing, friends and relatives. Inevitably, her elderly charges began to die off, and each time she inherited more property. My mother claimed that she didn’t want the responsibility of money, but she kept tight hold of it all the same. To outsiders, my mother pretended to be occupied with her antiques business. In reality, she’d sold some apartments that had come from my father’s family. It was the resulting capital, coupled with her widow’s pension and the rents from some more, inherited apartments,which allowed my mother’s life, and home, to become governed by an overwhelming desire to find parental substitutes. As she got older herself, my mother withdrew into a parallel world based on her deprived 1930s and 1940s childhood - hard times were round the corner. In this way, she also justified hoarding things. Even though she lived in quite a large house, it became almost impossible to move about. Virtually the entire building was crammed full of books, furniture, pictures and objects. Cupboards bulged with rotting bags of sugar and rusting cans of food. Although I knew that my mother had some (declared) savings and investments, and that she employed a lawyer and accountant, I was neither told the full extent of what she’d inherited nor allowed the slightest contact with her professional advisers. All documents were kept secret and my mother always talked to me as though she was struggling to make ends meet. At the same time, she was paranoid about burglars and the tax authorities. By 1990, my mother was sitting on all our family’s capital assets and she was in deep denial. Before I moved to France, I lived about 40 miles from my mother and I used to visit her every week, but she never once came to visit me. In fact, for almost 20 years (despite my best efforts), she never went anywhere, and never parted with a penny, unless she believed it to be absolutely necessary. Veteran, BBC television star, Valerie Singleton, presented a recruitment video for 'Amway UK' in the 1990s. In this, Ms. Singleton (who had begun in children's television, but went on to present a financial programme) played the scripted-role of objective journalist. At the time she was employed by 'Amway UK,' Ms. Singleton had been fired from the BBC after a public scandal. 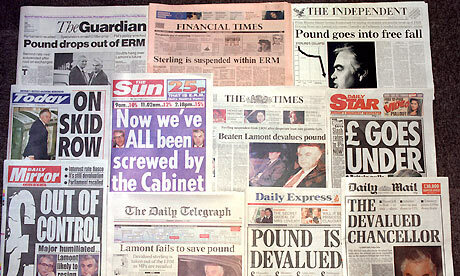 UK Finance Minister, Norman Lamont, was paid to speak at 'Amway' mass rallies in the UK during the 1990s. 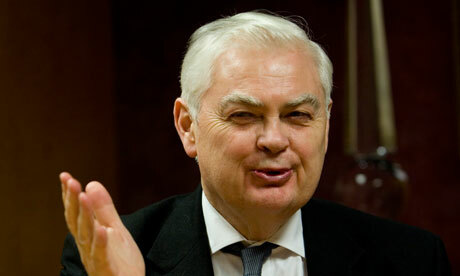 Norman Lamont was a close political ally of Conservative Prime Ministers, Margaret Thatcher and John Major. My mother’s child-like faith in something beyond her understanding, and which sounded far too good to be true, had only confirmed my original fears. All my instincts told me that my brother was involved in something stupid and potentially disastrous. I’d continued to tell my mother this with increasing frustration, but she’d acted as though I was consumed by childish jealousy, inventing outrageous lies about my brother in a blatant attempt to turn her against him and get hold of all her money. No matter what I said, she’d stubbornly refused to listen to any criticism of my brother or to come and visit with me to convalesce. For my mother, it was unthinkable that I could have a more-informed opinion than her. In the end, I’d had to return to France, but I remained very concerned. The immediate response of my two friends was to roll their eyes in disbelief. ‘Oh no’ they said almost in unison: ‘Don’t you know ? Amway’s a cult !’ Although this idea had already crossed my mind, I smiled and told them that I thought they must be exaggerating somewhat. After all, how could a cult be based on soap? That still seemed absurd. So my friends started to tell me about another, previously-passionless, ‘thirty-something’ schoolteacher who’d caught the ‘Amway’ bug in their home town. Just like my brother, at a vulnerable moment in his life, this man had been contacted (out of the blue) by a former class-mate whose relentlessly-enthusiastic personal testimony had triggered a revelatory experience. Almost overnight, he too was in the same delirious state of self-righteous euphoria - totally convinced that he could ‘help’ all his friends and relations achieve ‘total financial freedom.’ A local wit had given him an appropriate nickname, the ‘Jackpot Witness.’ It was even rumoured that he was on drugs, because he’d changed so abruptly. The 'Amway' adherent had systematically invited everyone he knew to dinner - he had a ‘once in lifetime opportunity’ for them. On each of these contrived occasions, he had performed the famous ‘what do you dream of achieving?’ routine. He had then excitedly told his embarrassed guests that ‘within a couple of years’ he was going to ‘retire,’ buy a ocean-going yacht and spend the rest of his life ‘cruising the world.’ He was so confident that ‘Multi-Level Marketing’ was the ‘proven way to achieve your dreams and goals,' that he had fixed posters of his future paradise, at strategic points in his home. However, this guy had not only quit his job and then lost his home and savings, but he had also ditched his wife, friends and family who had all tried to stop him. As far as my friends knew, rather than laugh at himself, and admit that he’d fallen for a con, he had attempted to kill himself before spending some time in a psychiatric unit. Even if all this lurid anecdotal story was true, from what I’d actually observed ‘Amway’ still appeared to be more like a pyramid scam than what (at the time) I understood to be a cult. My mother and brother were certainly very difficult people with fragile egos (who wouldn’t be proved wrong), but they weren’t homicidal maniacs dressed in robes. I preferred to believe that there was no way that anyone in my family could be so stupid as to join a cult, and, in truth, I was too proud to seek more-informed advice. This turned-out to be a big mistake. Uncharacteristically, my brother remained completely serene. He made no attempt to interrupt. Instead, he lent forwards, nodding and staring at me; apparently, with great interest. When I’d had my say, my brother smiled knowingly and, in a studied manner, asked: could we first agree that our mother’s health was ‘far more important than money ?’ When I said: ‘yes, of course,’ but that it was easy for him to say this ‘given the circumstances,’ he announced that I was completely wrong about what he was doing… like me, he ‘believed in free-enterprise’… he was ‘building’ his ‘own business with the goal of financial freedom’… this was why he could ‘identify’ with me and why he wanted to ‘help’ me, but, before we went any further, would I accept that I had ‘no right to interfere’ with his life?… He wouldn’t be ‘drawn into a ‘childish argument with an ill-informed critic’ who didn’t even know ‘the basic differences between illegal pyramid scams and legal Multi -Level Marketing.’ Self-evidently, my brother was still working from his script, but, because he seemed to have given up trying to recruit me, I modified my attitude. I conceded that whatever he chose to do with his life was entirely his own affair, provided it didn’t involve me. My brother was now almost hugging me. He insisted that he didn’t agree with our mother’s decision to exclude me, but he knew the ‘real reason’ why she’d done this… he couldn’t ‘be held responsible’… we were both ‘forced by circumstance to respect our mother’s wishes’… we risked ‘giving her a heart attack’ if we argued with her… he could appreciate my point of view, but I had to accept that our mother wasn’t ‘mentally incapable’… she was ‘still perfectly entitled to decide’ what she wanted to do ‘with her own property’… she had ‘made a free-choice,’ no one could ‘challenge this in law.’ My brother confessed that I’d had good reason not to like him in the past. He then told me that I was ‘making an enormous mistake’… he was actually on my side… he was ‘not only concerned about our mother’s welfare,’ but also about mine. My brother smiled broadly, offered me his hand, looked me straight in the eye and assured me that he was a ‘changed man’ who felt ‘ashamed’ about how he had ‘bullied’ me when we were younger, he’d been ‘jealous’ of me. Would I accept his apology?... Fortunately, he was now in a position to ‘redeem’ himself… he wanted to be my ‘friend’… he couldn’t alter our mother’s decision, but what else could he do to ‘help’ me? After this unprecedented personal disclosure, I began to drop my guard. I responded to my brother's offer of ‘help’ with detailed information about what I was doing. He took copious notes. At this time, property was an excellent investment. 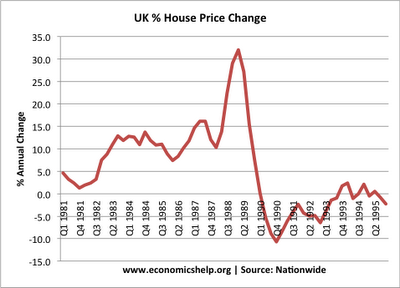 The owner of my home in France was an English friend badly hit by the recent economic recession and resulting spectacular collapse of London property prices. He desperately needed to sell his French property… although he’d paid relatively little for it, he now couldn’t afford its upkeep. My friend had defaulted on his mortgage with a French bank and he owed years of local taxes and charges. 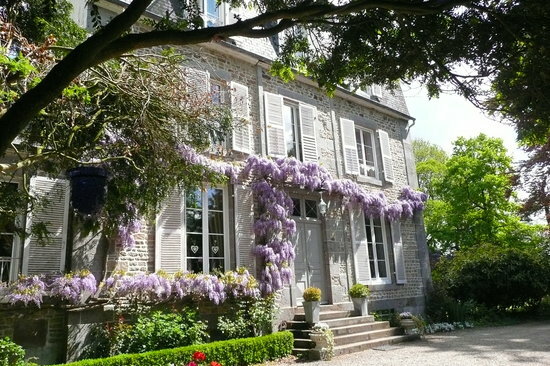 My home (a rambling 18th century house and two adjoining houses 100 miles West of Paris), was very attractive and had lots of potential, so, I’d made a private agreement to buy it. I was planning to occupy part of it and convert the rest into apartments to be rented. To stop my friend’s creditors from foreclosing, I had personally negotiated a delay on his mortgage-arrears and local taxes, and I’d paid-off most of his charges. I was now maintaining his current interest payments. My friend owed me this and other money, but, if I wrote-off these considerable debts, he would pass ownership of the property to me for the remaining value of his mortgage. However, I’d made a wrong assumption; at that time, unlike English law, French law wouldn’t allow me to take-over an existing loan-contract with a bank. For various reasons (including a general credit squeeze), it was impossibe for me to raise all the alternative finance by myself, but I needed to transfer title into my name urgently. In the eyes of the French administration, banks, insurance companies, utility companies, etc., I was neither the owner nor the tenant of my home… I was living in a bureaucratic no-man’s land where even minor procedures were major obstacles. In short, my project was blocked due to a shortage of ready cash. I found it increasingly difficult to argue with the new version of my brother. Even so, for a while, I told him that there was no way that I could enter into any private agreement. As things stood, I would be completely in his hands. He had no practical experience of business and there was far more than money at stake. I would need to have his absolute guarantee in writing that I would have direct control over the finance. My brother assured me that I would ‘have direct control,’ because we would ‘work together as a team.’ He accepted that I knew exactly what I was doing, therefore, he would just follow my instructions. Although he knew nothing whatsoever about the property market in France, he insisted that, before we made any agreement, he would have to come and view my home, then talk to his ‘friends’ (‘lawyers and financial consultants’)… they could give him ‘free advice.’ Within a couple of weeks, my brother flew to France at his own expense. He stayed for 24 hours and took dozens of photos. However, when he left, he played a puerile game - a sort of behavioural experiment. I had to drive him to the airport. We set-off early, but he kept criticizing my driving and complaining that we were going to be late. No matter how fast I drove: I had to drive faster. In the end, we arrived in plenty of time, but when my brother got out of the car he calmly announced that his flight was actually one hour later than he’d told me. At the time, I dismissed the incident as infuriating, but insignificant. In this way, my brother progressively manipulated me into a position of dependence. This was the last thing I’d intended, but he did it using a classic 'coercive behaviour modification' technique. An irreconcilable conflict was deliberately created in my mind - I didn’t want to be accused of putting money before my mother’s welfare, but I wanted financial security. It was quite easy for my brother to give me the illusion that I was making a free-choice to go along with his dangerous proposal. Subsequently, he began to use a similar ploy to manoeuvre me into a position from which I couldn’t retreat. He followed my first instructions and immediately transferred enough sterling to enable me to settle the outstanding mortgage-arrears on my home. At this point, I was too grateful to establish exactly where these funds had come from. However, I told my brother that once this payment was passed to the mortgage-holding bank, I would be committed. There could be no turning back without a significant loss. At the same time, we discussed the minimum amount still required to complete the purchase. In addition to what I could raise myself, it was far less than 10 % of the current market-value of the capital assets my brother claimed to control. Strangely, he never asked to see any documentation. I’d told him the truth, but I could have told him almost any figure. His attitude was, this was chicken-feed. I made it clear to him that my only income came from buying and selling antiques. I would temporarily have to halt this activity to consolidate my own capital. Therefore, the amount he needed to supply was not fixed - delay would expose me to many variable cost-factors - these would quickly bleed my own limited funds and leave me with no means of making a living; it was vital to ensure that more than enough cash was brought together (in francs) at one time, in one place, under my control and as soon as possible. Again, I told my brother that if he let me down, I had no safety-net - my entire future rested on him. He assured me that there was ‘absolutely no need to worry,’ I could ‘go-ahead in France,’ he was ‘already making the arrangements in England’ for my ‘cash to flow.’ So (taking my brother at his word), I paid-off the mortgage-arrears, stopped business, wrote-off my friend’s debts and made all the standard preparations with the interested third-parties. At this time, I was completely fooled. In fact, had someone tried to explain to me that I had taken several paces into a financially, and psychologically, abusive trap - a systematic fraud designed to convince the victim that he/she had made free-choices, whilst also making it appear to casual observers that the victim had acted independently, and was, therefore, entirely to blame - I would have said they’d been reading too much pulp-fiction. However, what should have been one quick step in a purely commercial transaction, now started to turn into a never-ending personal nightmare. On paper, the property deal was all in my name: in reality, I was just a powerless spectator. My brother and his invisible ‘advisers’ retained absolute control over the final means of payment. Whilst I diverted my own energy, time and money into the restoration of my home, my brother acted contrary to all commercial logic. He ignored my next urgent instructions and withheld the key-finance. My logical reaction was to remind him that this was financial suicide; until the property officially became mine, I would be insolvent. Therefore, according to our verbal agreement and the laws of economics, the longer the delay: the more cash he would have to find to replace my dwindling capital. My brother responded by insisting that our mother was the obstruction… he was doing his best to ‘help’ me, etc. Exactly what he was doing remained unclear. In reality (apart from constantly repeating the same ‘positive’ script), he was doing nothing. Days quickly turned into weeks, weeks turned into months. For over a year, my brother drew me into an ever-more infuriating mind-game - comprising him acting out essentially the same type of infuriating scenario as he had on the way to the airport. I couldn’t get any sense out of him on the telephone, and each time I arrived in England I was forced to return to France empty handed. My brother’s tactics were always the same. He could remain completely calm, whilst I was becoming increasingly destabilised. My own plans were thrown into chaos, and I was made to look commercially incompetent; something which I found very difficult to live with. All the time, the unpaid interest was again mounting-up in francs. Obviously, I’d not budgeted for this, and soon my friend’s bank invoked an automatic penalty-interest clause and began to threaten foreclosure. The more desperate the situation became: the more my brother denied any responsibility. Soon, my brother was trying to introduce infantile rules about what I could say, and do, in his presence. 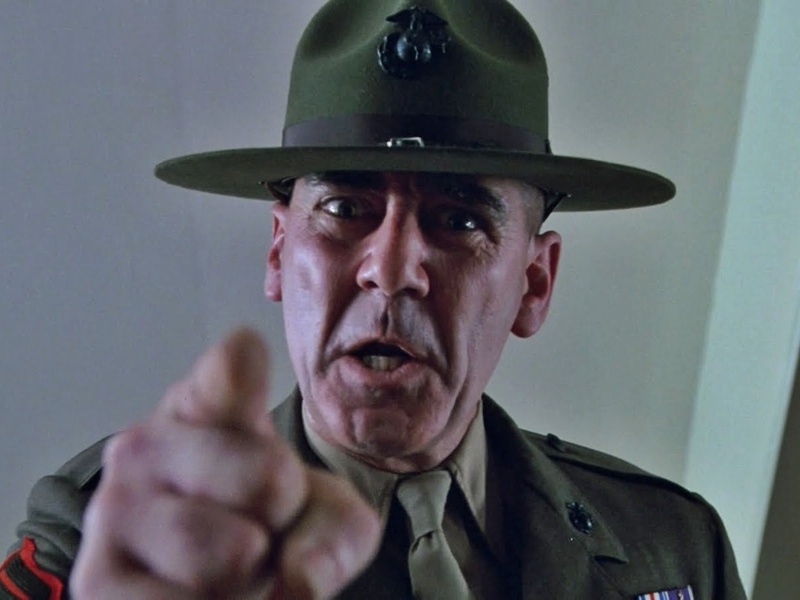 He began to act like a sarcastic drill-sergeant. 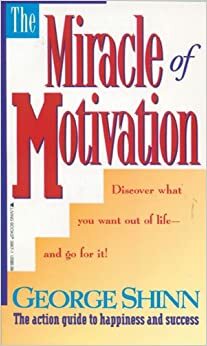 At one stage, he declared that I swore too much, and that he couldn’t accept ‘negative words’ like ‘difficult’, ‘impossible’, ‘losses’ and ‘problems’… I should also ‘remove all selfish words’ like ‘I’, ‘me’ and ‘mine’ from my vocabulary… until I showed ‘100 % positive mental attitude,’ he couldn’t ‘help’ me. For a while, I still kept trying aggressively to persuade my brother to take action, but, the longer he withheld the payment: the less I could afford to upset him. In the end, there was nothing I could do except try to appease him. I had to face the fact that I’d allowed my way of life to become dependent on someone who had briefly appeared to be adult and reasonable, but who was now acting like an adolescent living in a fantasy world. Although my situation was rapidly getting out of control, it still retained an almost unreal aspect. I had no possibility of employment in France, no right to State benefits and no cash available for business, but I still had a roof over my head and some good friends. I kept kidding myself that my brother would have to keep his word. Once I’d transferred my home into my name, I could use its 100 % equity value to complete its conversion and to refinance my business. With a bit of luck and some hard work, I could quickly recoup my losses and regularize my personal situation. I started selling my possessions and I cut my living expenses to a minimum to hang on. It was during this period, that my brother and his girlfriend moved in with my mother. Things then went from bad to worse. The day my brother and his partner arrived in my mother’s home, a ‘cultural revolution’ began. They brought stacks of bizarre American-published paperback books on ‘Personal Development’, ‘Self-Betterment’, ‘Self-Motivation’, ‘Leadership Training’, ‘Positive Thinking’, etc. 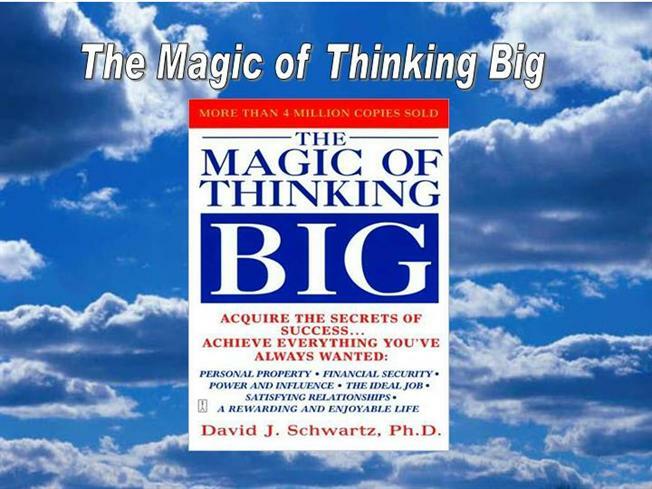 (‘The Magic of Thinking Big’, ‘The Miracle of Motivation’, ‘The Greatest Secret’, 'Don't Let Anybody Steal Your Dream,' etc.). Although my brother had always poured scorn on religion, many of these tomes were written in directly religious terms. The couple had hundreds of related magazines and recordings. They spent their weekends travelling to attend what they described as ‘Business Functions.’ They tidied-up my mother’s house and started to stockpile boxes of banal, but outrageously-overpriced, products supplied by the ‘Amway Corporation.’ Many of these 'positive' products were in concentrated form which made their use time-consuming as well as price-comparisons difficult to calculate. My brother's comic-book model of reality defied all logic. I can remember trying to give his girlfriend a packet of coffee that I’d brought from France. It was promptly thrown back in my face by my brother on the premise that he sold a ‘premium coffee’ in his ‘Business.' I later discovered that, at this time, ‘Amway’ coffee was about 5 times the price of its equivalents in French discount stores. My brother fixed a 'dream' image of a macho 4X4 vehicle in a mountain landscape on the door of my mother's refrigerator. Former 'Amway UK Diamonds,' Jerry and Mandy Scriven. My brother insisted that the leader of his 'Network' in the UK was Jerry Scriven - 'a former teacher who now drove a £150 thousands Aston Martin. Dexter Yager playing the kitsch role of ordinary poor little man : turned mighty multi-millionaire superman. Meanwhile, because of the factors which were beyond my control, the cost of my project was escalating, but I was still managing to hang on. However, at this time, sterling dropped-out of the ‘European Exchange-Rate Mechanism.’ The pound plunged against the French franc. 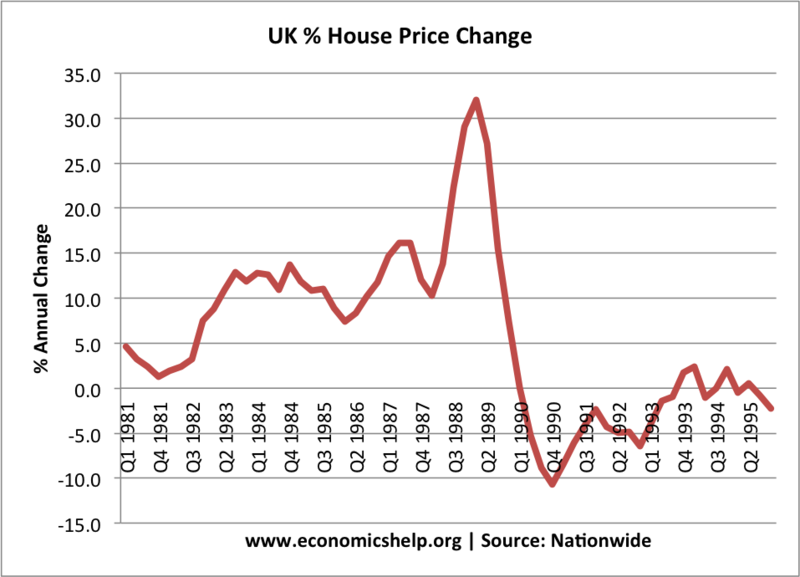 Almost every day, I had to sit and watch whilst the immediate price of my home went up (in France) and the value of my (promised) means of payment (in England) went down by the same amount - producing a double-effect, soon totalling over 50 %. Previously, when I’d contacted my brother to implore him to use any available sterling to buy francs, he couldn’t even register this vital procedure: let alone execute it. He was like a machine relentlessly spewing his group’s ‘commercial’ jargon and acting the role of calm financial consultant, but he was incapable of understanding the most-basic economics. I can remember trying to explain to an incredulous friend that it was as though my brother had been hypnotised or drugged. When I asked him if he watched the television or read the papers, my brother sneered and recited puerile, thought-stopping clichés - he was ‘too busy building the Business.’ In his comic-book ‘100% positive Amway’ world, ‘negative’ concepts (i.e. fluctuating exchange-rates and penalty-interest payments) simply did not exist - ‘to achieve success, you must stop searching for excuses and believe 100 % that you will succeed!’ Unfortunately, in the adult world of quantifiable reality, my credibility with all the interested third-parties was rapidly being destroyed. To casual observers, I appeared to be the reality-denying fool and liar, not my brother. I began to lose what remained of my sense of humour along with my enthusiasm. It became pointless for me to try and make any decisions or to continue even the most pressing work on my home. The more effort I put in: the more I risked losing. Eventually, even my closest friends couldn’t understand what was happening - why had I gone cold on such a great project? The better people knew me: the more unbelievable it all seemed. I felt depressed and humiliated. For a while, I tried not to let the situation affect my private life, but, as my own resources dwindled to zero, I started losing sleep. I then found it difficult to control my anger. I was the voice of reason, but with the apparent face of insanity. In desperation, I went to see my brother for a show-down. I told him that we had long-since passed the point of no return… if he didn’t come to his senses and take immediate action, I had decided to quit my home, lose all my previous work and investment and return to England destitute… he’d led me into a hole and I’d already stopped digging. Even if he immediately supplied twice the amount that we’d previously discussed, I could no longer guarantee to complete the transaction and regularize my situation. The delay meant that he needed to supply a lot more sterling and the sum was increasing all the time. I made a final attempt to give him a break-down of the figures, but, predictably, my brother wasn’t in the slightest bit interested. Without a flicker of emotion, my brother started to attack me on a vicious personal level designed to reduce me to the position of a guilty child. He stared at me and, in a mocking voice, accused me of being a ‘whining little loser’… a ‘lazy little parasite’… a ‘pathetic little wimp’ who couldn’t stand on my own feet and accept responsibility for my own actions… I was ‘obsessed with money’… it had been my own ‘free-choice’ to buy such a large property and to accept his ‘help’… I’d said ‘yes,’ no one had forced me… any extra cost was, therefore, the result of my own ‘selfishness and greed’… I was now ‘searching for a scapegoat.’ When I still tried to stand up to him, my brother countered by producing one of my mother’s diaries and reading aloud from it. I was portrayed as a childish liar and bloodsucker who didn’t care whether she lived or died. At that moment, I felt physically sick. I put my hands on my head. My instincts told me to pin my brother to the wall and tell him to stick the money, but I managed to reason that this must be exactly what he wanted. After 5 minutes, that felt like a lifetime, I walked out. The atmosphere was indescribable. I’d seen, and heard, more than enough to realise that, from the start, my brother had been deliberately sabotaging my life. He was now trying to use my vulnerability to force me to join his crackpot pyramid scam, but he was genuinely convinced that he was acting in my long term interests. I returned home exhausted and depressed. 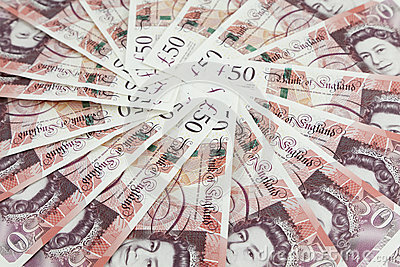 Two weeks later, my brother lured me back to England with a promise of the cash we’d discussed more than a year before. Obviously (when all the additional costs were taken into consideration), this amount represented an enormous net-loss. However, my brother’s poisoned mind was incapable of receiving what it systematically reinterpreted as ‘negative’ information. I realised that it was pointless trying to explain to him the actual sum now required to complete my purchase. My brother solemnly proclaimed that he’d tried his best to ‘help’ me by bringing me into his ‘business,’ but my refusal had finally proved to him that I was ‘just a selfish loser’… he couldn’t be held responsible for my ‘failure’… even if I ‘begged to join Amway,’ it was ‘now too late.’ Under normal circumstances I would have laughed, but now it was impossible to see any humour in the situation. My brother then supplied approximately 80 % of the sterling he’d previously agreed. At the last moment, he obliged me to sign a blank receipt and to promise that I would only use the payment for my project. By this stage, I would have accepted almost anything to save my home, but, soon afterwards, I discovered that my brother hadn’t been using family money at all. He had emptied his own, and his partner’s, savings accounts - this explained the odd amount. At the same time, he had convinced my mother that I had freely signed an agreement to accept his generous payment as my inheritance… I’d been given exactly what I’d requested to complete my transaction. Again, he’d made sure there were no witnesses to what had really occurred. My brother was like a bent cop framing an innocent suspect. He had arbitrarily decided that, for the purpose of their division, our family’s properties were worth a tiny fraction of their market-value. He had reams of his own contemporaneous notes to prove his case, but these took no account of the subsequent delay. My brother then gave-up his job and began pretending that he’d ‘retired thanks to the Amway business opportunity.’ In reality, he was using his stolen prosperity (and his partner’s salary) to bedazzle his prospective recruits and to finance his allied ‘Amway’ activities. I was now more than ready to tell him exactly what I thought, but when I tried to confront him by telephone, he sniggered and hung up. At the time, I could not control my anger - I almost didn’t recognise myself. As a result of the intervention of a close friend, who persuaded my mother to consult her lawyer, I was again offered deliverance, but only if I ‘agreed’ to sign a legally-binding contract. However, I was not allowed to communicate directly with the lawyer and I couldn’t afford legal representation. I had to attempt to negotiate the contract through my friend, but she was being overwhelmed by constant claims that my mother would die if there was any argument. To my friend, it was unthinkable that anyone could be so manipulative. In the end, my friend was begging me to remain silent. Consequently, the contract reflected my brother’s comic-book, inverted model of reality. In short, I was falsely blamed for everything. Ironically, when my mother’s lawyer discovered the rising market-value of my home (more twice the outstanding mortgage-debt), he advised her to raise a loan in England (using family property as collateral) and to complete its purchase using French lawyers to instruct the interested third-parties. The one time I met with my mother and brother was when the contract had to be signed. Only at this point, was I allowed to read it. When I started to challenge it, my mother began clutching at her chest and gasping for breath. In the end, I felt obliged to comply. The atmosphere was again indescribable. On the contract, the previous (net-loss) payment was now falsely recorded as a ‘personal loan’ from my brother. My friend had been verbally assured that ‘this was for reasons of tax’… he would ‘never demand repayment.’ Although the contract gave me 6 months before any interest was due, I was made responsible for an additional sterling-loan (recorded as being from my mother) and for two sets of lawyers’ fees (10 % of the total debt). Interestingly, my brother declared his occupation to be a ‘qualified schoolteacher’ - there was no mention of his ‘Amway Distributorship’ or his recent ‘retirement.’ In total, it took over two years to conclude a relatively simple house purchase that I’d planned to take no more than 2 months, and it could not have been finalised at a worse time. My urgent instructions (which had been quasi-identical to the long-winded, and expensive, advice of my mother’s lawyers) had been completely ignored. With all the unnecessary delay, the cost of the transaction in sterling had doubled. Instead of having a home and 100 % equity, producing a secure rental-income and financing another business (which had been my overall strategy), I was saddled with a major debt and no lawful means of servicing it. I had already lost an incalculable amount of time and income, whilst a self-defeating clause in the contract now prevented me from legally-renting out any part of my home. However, the money had long-since become secondary. My peace of mind and state of physical health were disintegrating along with my way of life. Several close relationships had already become strained to breaking-point. For this reason, I couldn’t bring myself to speak with my family. Thanks Eric - If anything, the rest of my nightmare experience with my 'Amway'-controlled family, became even worse. At no stage, did I find anyone in law enforcement in the UK who had knowledge of how blame-the-victim cultic rackets function, let alone the courage to help me to save my family from the 'Amway' thieves. On the contrary, when (in 2007) UK trade regulators took notice of me, and finally launched a civil investigation/prosecution of 'Amway UK Ltd.,' the cultic racketeers behind this fake 'Direct Selling' company employed Peter Kiernan, a former Deputy Director of the UK Serious Fraud Office. You can imagine what I had to say to Mr Kiernan. David - Can you put a figure on how much money your brother's involvement with 'Amway' cost you personally? This is the type of question that I usually put to 'MLM' victims, and your putting it to me, has suddenly confronted me with just how difficult it is to calculate the cost of an encounter with an 'MLM' cult. My total financial losses certainly run into the millions of Euros. I lost my increasingly-valuable home and my business and many years of revenues from both. For a long time, the financial losses I incurred, seemed to be completely unimportant compared to personal losses I suffered. I was defrauded and effectively murdered my members of my own family, who kept insisting that they were only acting in my interests. Other than through lawsuits, I had no contact with mother for the last 7 years of her life. When my mother died in 2004, my brother made no attempt to let me know she was dead for 6 months ( by that time probate had been granted on her estate - my brother was the sole executor and beneficiary of my mother's will). When finally I discovered that my mother was dead, I went to England and discovered that not even my mothers lawyers (of 40 years standing) knew she had died. My brother placed no announcement in the local newspaper, and had previously persuaded my mother to make another will with another firm of lawyers, but without informing her original lawyers. Until I produced a copy of my mother's death certificate, my mother's original lawyers actually thought that I was lying. I also lost contact with several persons whom I had considered to be close friends, but who absolutely refused to confront what had happened to me or help me to reason with my family. In financial terms, my brother obtained (in property and cash) from my mother, a sum in excess of £ one million. Most of this was given to him prior to my mother's death. By the time of her death, virtually nothing remained exclusively in my mother's name. Do you know how much your brother's losses were? My brother sold two large properties which he was given by my mother. These today, are worth around £ 900 thousands, but I have absolutely no idea how much money he lost in 'Amway'. That said, from what I know of cultic groups, it's a certainty that my brother disclosed confidential information to his 'Amway' handlers about his family's realtionships and assets. He was then given detailed instructions how to defraud his own mother and me, but only so that he could be bled dry by his 'Amway' handlers in allied frauds. What a sad encounter with the beautiful business model called Network Marketing. -what has become popularly-known as 'Multi-Level' (or 'Network') 'Marketing' is nothing more than an absurd, cultic, economic pseudo-science.